This morning my wife and I awoke at 4:00 AM Eastern time to fly to Panama City, Panama. It is a beautiful large urban city, a lot like a smaller Miami. We went to a small island in the bay which had a marina. Rene took us to the most wonderful water/marina front restaurant. Unbelievably fresh and fantastic prawns … I had a smoked prawn shish-ka-bob. The prawns were so fresh they were sweet and the vegetables were the best tasting I ever have put in my mouth! I had two Panamanian beers (Atlas Lager), my wife enjoyed a Chilean red wine and three of us ate at an amazing place … for $40.00! 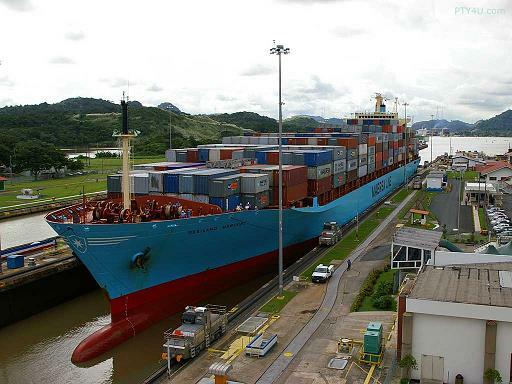 Next, we went to the Panama Canal and watched a couple of ships make it through the channel (locks). The Eighth Wonder of the World and it (The Canal) deserves the designation. Thirty years to build, 25,000 lives lost in the process. I asked my wife what she thought of Panama so far once we reached our downtown hotel and she said, “Awesome!” I agree. Our new friend, Rene Guardiola will get us at 8:30 AM to take us to the airport for our flight to David, which is on the Pacific coast not too far from the Costa Rica border. We will fly out of the old US Army base airstrip, now used for some domestic and private flights. Once in David, we rent a car and make the short drive to the mountain city of Boquete, which enjoys an altitude of about 4,200 feet. We look forward to seeing Rene upon our return to Panama City … he’s going to take us shopping!